Did you make a New Year’s resolution to lose weight and get healthy in 2015? Stop putting it off every year and do something about it. 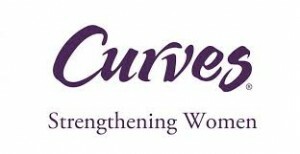 You can save serious money using this Curves membership price discount with Curves franchise. Right now, Curves is offering 50% off their enrollment fee through their website. This should give you the boost you need to get your health back on the right track! Hurry up and sign up if you’re interested in the deal. This offer expires on March 31st. Enrollment and monthly fees vary by location. Curves only requires 30 minutes on their circuit to fulfill the daily workout. They always keep a Curves Coach around to help out with your exercise.